HURRICANE SEASON IS COMING! Join us on May 1st for an interactive lunch and learn. 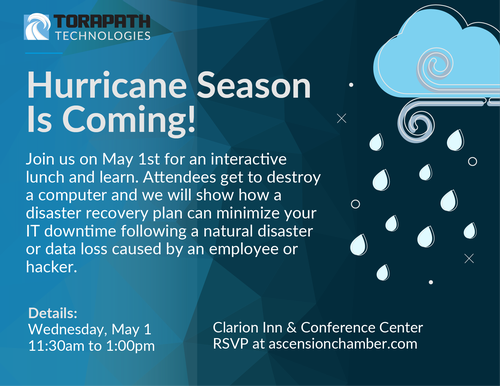 Attendees get to destroy a computer and you will learn how a disaster recovery plan can minimize your IT downtime following a natural disaster or data loss caused by an employee or hacker.